With its elongated face, black hair and thick white stripe, the Cinta Senese is the only Tuscan swine breed surviving from extinction. The meat is extremely soft and it has an outstanding flavour and aroma. 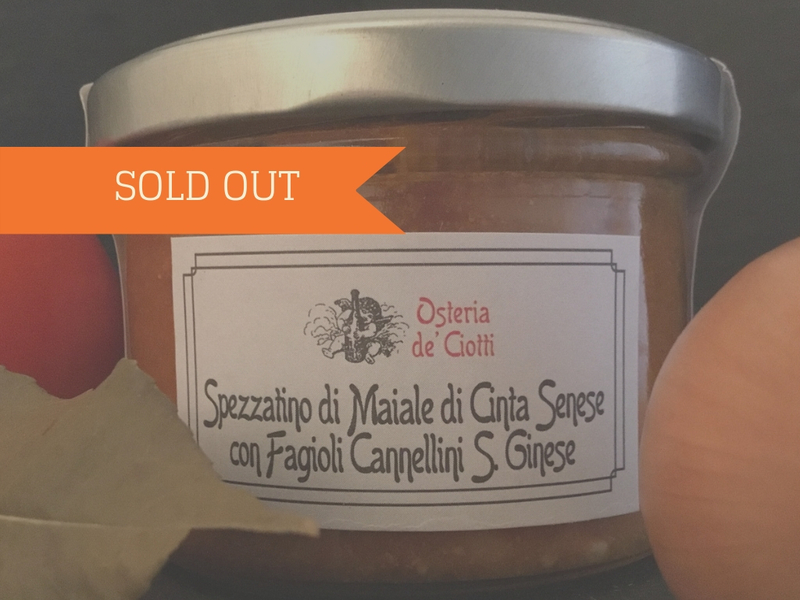 The intense fragrance and flavour of the San Ginese Cannellino beans, plus their incredibly soft texture, makes them ideal for traditional Tuscan dishes like meat stew. Pour the meat into a pan and warm it up on low heat for a few minutes.